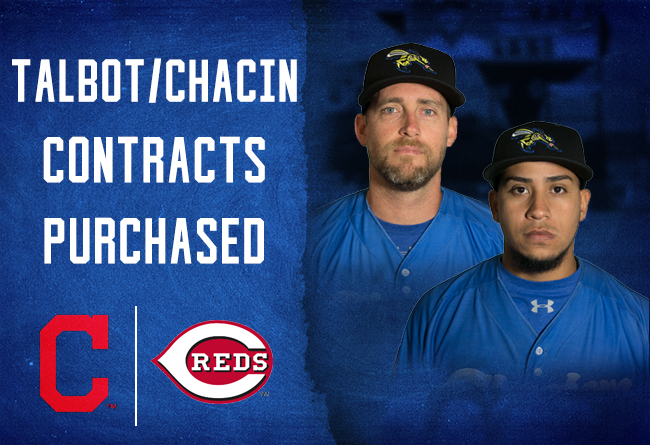 (Sugar Land, Tex., May 24, 2018) — The Skeeters announced today that the contracts of right-handers Alejandro Chacin and Mitch Talbot have been purchased by Major League organizations. Chacin has been assigned to Double-A Pensacola for the Cincinnati Reds, while Talbot will report to Triple-A Columbus for the Cleveland Indians organization. Talbot, 34, was amid his second season with the Skeeters and was 3-1 with a 1.93 ERA through five starts this year. He ranks at No. 4 in the Atlantic League in ERA and is fourth in opponent’s batting average at .208. Talbot made 21 appearances (19 starts) with the Skeeters in 2016 and is 12-4 with a 2.80 ERA in his Skeeters career. He first appeared in the Atlantic League in 2014 with the Long Island Ducks and has also made two stints in the Korean Baseball Organization (2012, ’15).